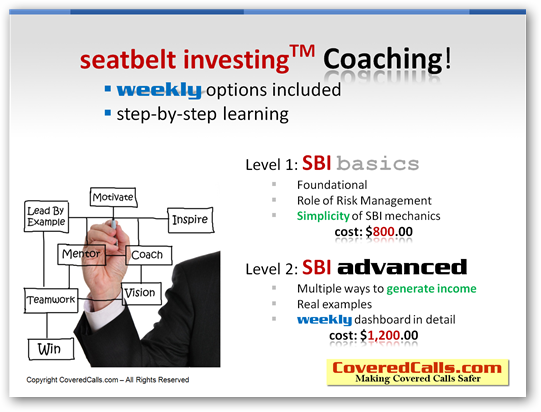 Our core principles from both our "in person" (1-day) Seminar, and our "Online Seminar" training in the past, are the foundations of our popular "seatbelt investing" (SBI) Coaching program today. The cost for our SBI Coaching plan is $2,000.00 (USD), but we are currently providing this SBI Coaching for FREE to SBI clients (for now), or to those new clients who join our SBI program during select special offers. Join our SBI program today!